I have known Samavesha-Gayatri Devi since 2004, meeting in California and prior life times I am sure. She is a gifted multidimensional healer, wise woman and intuitive futurist. She holds the keys to the twin flame Soul Seed Consciousness and helps to birth us into the Sacred Communion of the Heart. She is attuned to the Unified Field and has been working with Grid Line energies as a way of directly communicating with Gaia. Working with her opens one to the highest realms of Love, Light and an Ecstatic Embodied Life!" Samavesha Gayatri you are going to change the system... you're not really here to make it necessary for someone to grock what you do to be able to benefit from it - that's a very important thing. If anyone ever asks you what you do... you say…. 'I synthesize all of your aspects and bring them together so that you feel yourself as ONE being... in as many worlds as you travel and as many times as you have been here and as many places as you go in your thoughts, in your mind, in your heart, and your awareness and all…' Your I AM is the anchor for all of this amazing capability, and thus, you work to support people to embody who they are and where they come from in spirit. So, when people say what do you do you say "I SYNTHESIZE!" You let them feel what that means for them... you hold this clearly in your field and in your self. Mary Magdalene's word was texturize and yeah... your word is synthesize. You have this WOW... and that turns everyone on!" She synthesizes all these points (of energy, light, frequency, and consciousness) and brings them in - from substance into form - and lets them settle into the core of your body... consciously concretized. Samavesha brings it in so it settles down and you know who you are (in your body). She synthesizes all that is with you so that you feel complete, you feel finished... you don't have to go and look for something else. In your body you know it's all there right now and ground that in, and then you feel comfortable, safe, connected and complete. Then you can do what your soul came to do here on Earth." Samavesha Gayatri is a new integrated archetype through her full spectrum unification between the embodied Sacred Masculine and the Sacred Feminine... in ONE being." I have worked personally with Samavesha Gayatri from Speaking Tree of Life and give her my most enthusiastic recommendation. Her Circuitry Alignment (Level 1) is an energetic process that brings your soul's pre-birth blueprint more fully into the physical body, thus empowering you to live and fulfill that plan with greater ease, clarity and grace. A true gift from Spirit." I have had the great pleasure to receive potent transmissions from Samavesha over the course of the past few years. Always during heightened times of transformation, planetary and personally, she has elegantly and eloquently facilitated multi-dimentional healings, which have resulted in openings and inroads to grace in my waking life. 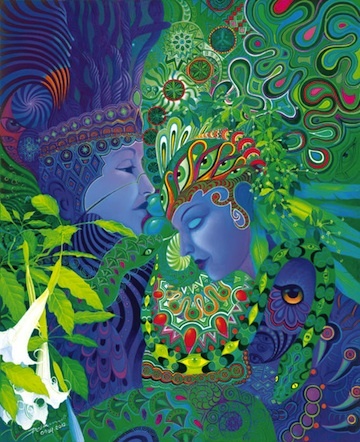 Samavesha's access to universal wisdom, combined with her unique way of midwifing and nurturing provides a safe and inviting space for thought leaders and powerful planetary contributors to be seen, held and encouraged to continue to be agents of transformation." Samavesha's work is not for the faint of heart, particularly if you are pursuing the path of a change maker. Big missions require big housecleaning. Be ready to become the star of your own life, but not until your house is ready for your greatest self to inhabit." Samavesha brings potent tools of spiritual activation and harmonic attunement. In our sessions she created a safe and gentle space of beauty for us through her mesmerizing use of storytelling, song and meditative stillness. She guided me impeccably toward a palpable expansion of my consciousness renewing the generative force within my heart and propelling me more directly to my purpose. I recommend Samavesha to anyone passionate about strengthening their connection to source consciousness and that resonant navigator within." I loved doing my Circuitry Alignment with you. I felt the blueprint of my soul descend into my body! It was magical. You really have the gift; and you use it with so much love. My heart just opened. I really admire, love and respect you. You have walked a very challenging path and came through it with so much mastery. I recommend using Samavesha Gayatri's gifts as a way to ground your spirit into your body, especially for people who have suffered trauma and pain. She has a unique way to really live Heaven on Earth; resolving the polarities. Bless you for all that you do!" I have been working for years on transforming my inner bodies, clearing the hard drive of my human existence of all the imprints that block me from connecting fully to my highest potential and trusting that I am God - expressing Source energy in my own very unique way. I had a glimpse of what it would feel like to be connected, to feel God, but something was missing to ultimately embody my own Self fully. But now I do! I cleansed my bodies from all that had lowered my frequency but what was missing was that the bodies were not synchronized with each other, just as if they weren't talking with and to each other. There was no communication, no flow between them, although there were pretty clean by now, I still didn't feel the full effect of my work until my dearest Soul sister Samavesha (Gayatri) did the finishing touches to my inner awakening. By connecting/connected all the wisdom. that had come to me via spirit into the earth and rooting it like having finally a big electric cable be grounded into both ends of the poles - heaven and earth - everything shifted. I thought I had a clue what "Circuit Alignment" meant but was very surprised when I finally experienced it. Wow - I can only say - fasten your seat belts Goddesses and Gods... here we all come together! You and I - you and God - Everything in itself - comes together as One. The experience started very gentle as my bodies beautifully orchestrated - came together merged and exchanged, synchronized and aligned - I felt pure joy, pure bliss. I was bathed in my own essence which penetrated into every part of my entire existence, into every cell, into every molecule. My divine blueprint was given to me. Then we met the second time to fully connect and root the entire blueprint of my being of my unique codes into the earth - when my entire circuit tree was gently struck by lightening within my whole body that I could experience my being so much larger then I could possibly imagine." From this moment on I am feeling an inner peace, so much gratitude and self love and compassion for my own being and all others I have never experienced before. I feel all my worries have been completely transmuted and only the knowingness of perfection in every moment and in every being is left. I am feeling ecstatic but so still within me - I am in love with the times we live in, it is so exciting to be alive. I have been experiencing one magical incident after another by following spirits lead and not trying to know it better.....I surrendered myself fully! At the same time I have a very clear idea of that I just scratched the surface of what is possible and that I have just begun the journey that starts "behind the curtains" beyond the veil , every day is more revealed to me and it feels great to take the first steps of the stairway to heaven! Feeling truth - knowing truth - embodying truth! Thank you for allowing me to take on my part in the ONE beingness! I love you all so much!" In my first conversation with Samavesha in the large airy kitchen following dinner at a spiritual retreat she intuited my life's work, painting a vision that resonated deeply with me as true, and yet I knew the work ahead involved grounding this vision on earth, and in that sense I had a quite a road to travel. To that end, through my sessions with Samavesha my entire being became more activated to embody my soul's purpose. It doesn't happen in a single quantum leap, though I feel deep shifts after sessions. The real magic is in the alchemical process in the weeks and months afterwards as my male and female aspects engage in a marriage the brings me a relaxed focus. I've sensed limiting thought patterns fall away, and have a sense of knowing the next steps to ground my purpose." It brings me great pleasure to provide an endorsement for Samavesha-Gayatri Devi. I don't recall how I learned of Gayatri over five years ago, but obviously through synchronistic events, we were brought together. She was extremely kind and compassionate as she led me through energetic transmissions. I could feel the pulse of these transmissions as her angelic voice guided the energy. The awareness of this was palpable and beautiful! Before I connected with Gayatri, I was feeling somewhat disconnected from my body, and through the journey with her, I could sense the integration of all that I am. After the last session, Gayatri reminded me to walk outside and feel the aliveness of the ground beneath me. As I did this, I was aware of a circle of mushrooms that had grown around me. It's as if the mushrooms represented a symbol of circular support. In addition, I began to have an awareness of a greater body beyond the physical one. I remember telling Gayatri that I had a dream that I was splitting apart, and it scared me somewhat in that I felt that I may not come back together. We laughed about this experience, but what has unfolded since then is a deep vulnerability in allowing the splitting apart to happen without needing it to be corrected. Several years ago, I had a near death experience, which was truly transformative. The bliss that I felt then was similar to the bliss I felt during the sessions with Samavesha Gayatri. This said, over the last five years, the integration of all that I AM has expanded exponentially! I've never felt so connected to everything and everyone. Even though I may sense an aspect of me that requires exploration and discovery of a certain theme, belief, thought or definition, simultaneously, there is an aspect who is observing ALL of it. It's such a beautiful blessing to have the Universe of ALL set up this meeting for Gayatri and me so that I may fully appreciate the Infinite oneness that exists! My heart is open to receive, process and integrate everything and everyone that is here just for me. Thank you, Gayatri, for answering THE call! J With much love"
She has so deeply rooted herself in the core of creation that only a direct experience with her powers can be put to language. A true master walks among us to help reunite the eternal dance of divine feminine and masculine within. I am so grateful to have crossed paths." She who hold the keys to dancing in the heart of wisdom has touched this being so deeply that her presence has forever etched a message in my soul…that message planted as a seed is given forth to infuse us with the capacity to realize our inherent nature as a wholly present and a holy divine emanation of Light. An encounter with Samavesha Gayatri Devi is an opportunity to step beyond the wisdom of the ages and into the power of eminent and illuminated Grace. Grace exemplified beyond the metaphor and meaning… Grace as a living breathing embodiment welcoming us into the home of our heart. Her core teachings and gifts offer sensitive and compelling insights into the profound origins of humanities metamorphic next step. Her sessions give forth penetrating awareness of the body as a vehicle for awakening and igniting the divine blueprint of creation. I highly recommend Samavesha, to those ready to plumb the depths of the multi-planes of existence and discover the truth that mysteriously unfolds in the holy and unbounded heart!" Samavesha is a deeply gifted being. As you work with her you will experience deep love and connection to your soul, the world and spirit. She works from the heart and higher consciousness, she is caring, nurturing and profoundly wise on multiple levels!" I first met Gayatri in this life almost 10 years ago at a Magdalena gathering in southern California. I was instantly drawn to her amazing spirit and beauty. She is on this planet for BIG things. The best part is that she consciously chose it and is extremely dedicated to her mission. She has been an integral part in my healing and rebirthing. (Samavesha) She has guided me into my inner depths and held space for me to expand into all that I AM. Just being in her presence brings remembrance and truth. I AM so honored to call her my mentor, siStar, teacher, facilitator and friend." Infinite love & gratitude to the great cosmic weaver and guide to the grail kings and queens for the remembrance of union ~ Samavesha-Gayatri Devi ~ the one who said 'if i have to do this job alone… then so be it…" the one who courageously leaped into the depths of separation to birth the light of unity from galactic, super galactic, celestial and cosmic realms of love...we remember union"
Samavesha is an exceptional being, carrying divine wisdom, insight, and grace. She is a living gateway between dimensions and is able to access corridors of light through her primal Shakti in ways that open one’s heart to the heart of creation itself. Her relationship with Gaia Sophia, the shamanic and alchemical, the elemental, and her trans-dimensional spider woman abilities are unparalleled. 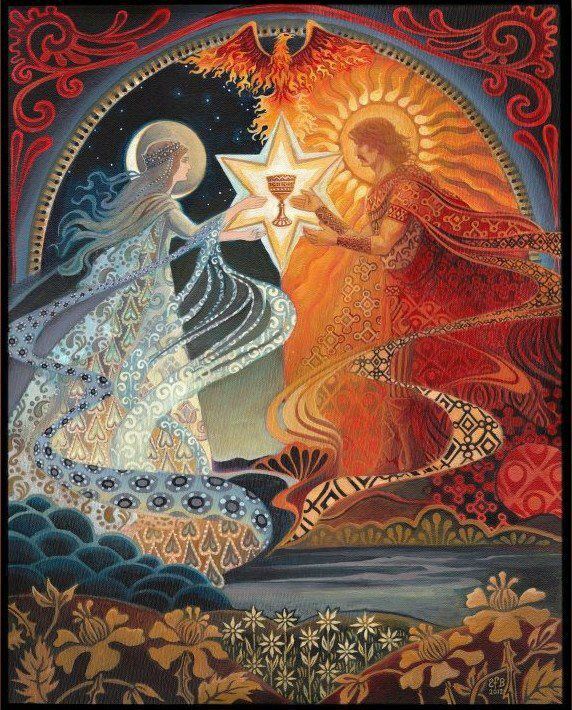 Her dedication to the Twin Flame altar within the “heart womb” and its inter-dimensional gateways accessing the “womb at the center of the universe” carry the potency of soul remembrance all the way back to the councils of light. On a more practical level, she is dedicated to embodying and living in an impeccable attenuation to universal core values in both the within and the without. This exploration at the personal, inter-personal, and collective levels added to the profound gifts that arose from our journey together. Samavesha is one of the most dedicated beings I have ever encountered in terms of her passion for personal and collective transformation. In this, Samavesha offers a unique path of remembrance into who we truly are, a path that ignites an intimate fusion of one’s spirit inside their body. Inside this field of remembrance, one’s soul faculties are lovingly brought online and activated into what might be referred to as a sixth sense or a type of soul intelligence. The Soul Intelligence Academy positions us to lead from integrated wholeness, where we are deeply rooted and nourished by our material well being while accessing the vastness of the consciousness that birthed our soul’s blueprint. Our limitless capacity to choose from compassion and empathy, to choose from integrated wholeness and embodied wisdom is tangibly and powerfully brought forth into our direct experience. She assists us to embody an intimate relationship to creation that can only be accessed through an open and activated heart. 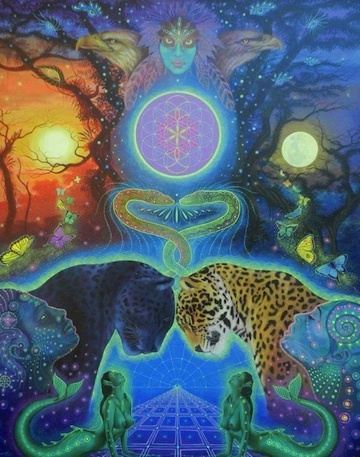 Samavesha exhibits a profound I AM presence but also operates softly and lovingly within the collective, unified field for the benefit of all humanity. 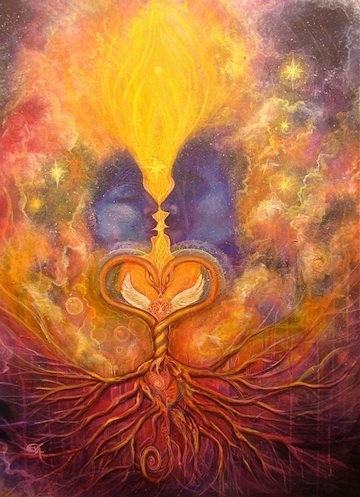 Samavesha’s devotion and sincerity to the divine call to usher humanity into the new paradigm of sacred union consciousness, the twin flame of feminine and masculine within, is the most heartwarming and inspirational because her core vibration is about true, unconditional LOVE. Her presence on Earth is to ensure all of us with an easier path of grace as our souls continue on their sacred journey. The very first time I heard Samavesha speak I knew from the sound of her voice that I was listening to words of wisdom from a very special, old soul, one that upholds and encourages those souls around her complete their soul’s intention. More importantly I sensed that she is a prime soul that is here to midwife the birthing of the next generation of leadership on Earth. She empowers light bearers to come into their power, by achieving the union of their own twin flame hearts, and join her as the new leadership in the divine covenant of bringing humanity into its new paradigm of ONENESS and Heaven on Earth. Samavesha’s way in ceremony goes beyond time and space, is deeply passionate, awe inspiring and enlivening to the soul." I have just passed through the most transformative two months of my life, since beginning work with Speaking Tree of Life. If you desire a galvanizing acceleration of your life purpose, if you have repeatedly come “so close” to breakthrough into your full potential only to be pulled back, Samavesha-Gayatri’s uniquely powerful presence, shamanic gifts, and enlightened expertise are an extraordinary opportunity. More than mere “career success” – here you can taste the thrill of living your destiny."